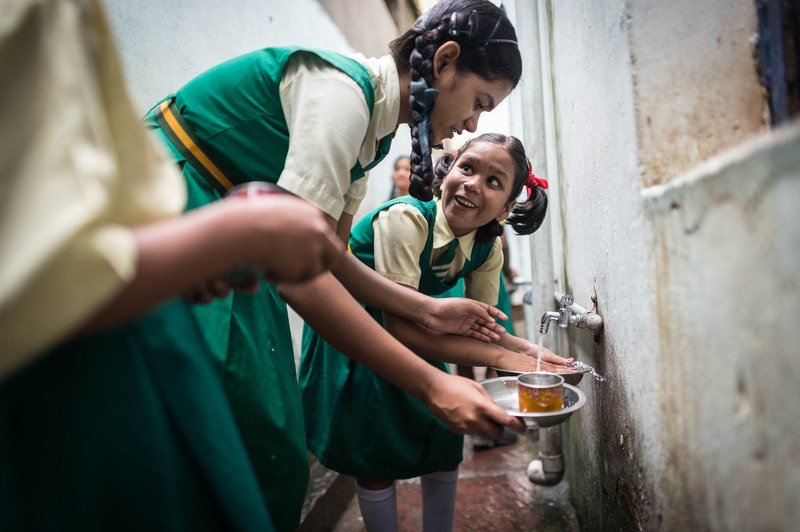 Akansha, 15 and Shivani, 9 wash their bowls after breakfast. They are part of a family of 33 girls taken in by a home in India. All of the girls were considered at-risk from prostitution, poverty or homelessness.